It’s hard these days to come up with a new idea for a video game. It’s even harder to come up with unique gameplay mechanics. In late 2013, determined game designer Alex Preston embraced both these facts when he began a Kickstarter for Hyper Light Drifter under his own producer name as Heart Machine. It was an ambitious project intended to pay homage to video games of the 8-bit and 16-bit era. 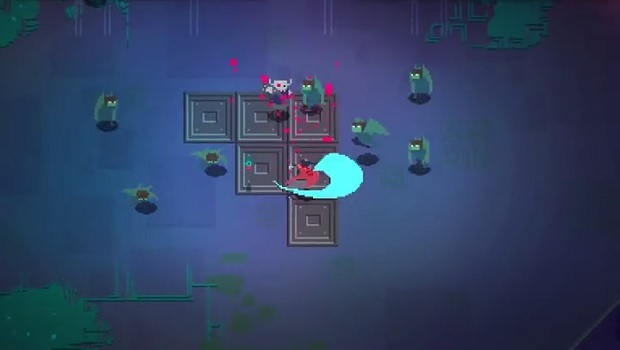 From the early stages of its development, Preston has stated that Hyper Light Drifter was inspired heavily by A Link to the Past. The project surpassed the original goal of $27,000 in the first day, allowing Preston to hire a much larger team. This delayed the release of the game until 2016, but it was well worth the wait! With the project’s popularity, the Kickstarter was able to amass around $600,000, allowing Preston to hire new programmers, concept artists, and background artists, and Rich Vreeland, better known as Disasterpeace, as composer. With this new team, the final product was released in March of 2016 and, owing to their new funding, Heart Machine was able to port the game to PlayStation 4 and Xbox One in July of the same year, with plans for a Nintendo Switch port later this year. The idea for Hyper Light Drifter came from Preston’s own life experiences. Preston was born with congenital heart disease which caused innumerable problems for his health throughout his life, including digestive and immune-system issues. It was during his college years that Preston first began channeling this deficit into art in the form of film and painting. It was this experience that led Preston to the idea of Hyper Light Drifter, wherein the player takes control of the protagonist, the Drifter, a mysterious figure with an even more mysterious disease. This idea was combined with Preston’s love for the dungeon crawling atmosphere and combat challenges of A Link to the Past. 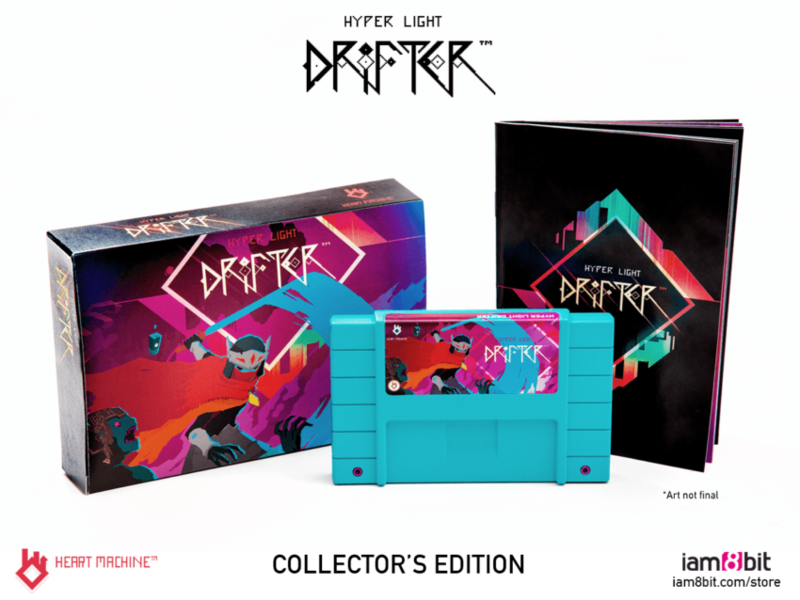 Picking up and playing Hyper Light Drifter immediately brings back nostalgic memories of 16-bit classics like A Link to the Past, especially with the release of the Hyper Light Drifter collector’s edition, a gorgeous “physical” copy including a Steam code for the game, a blue SNES cartridge (unfortunately non-functioning), box, manual and map of the land, very similar to the original contents of A Link to the Past. It is also a dream of Preston’s to one day port Hyper Light Difter to the SNES, though he is aware that this would take much more programming for this kind of “demake.” The game’s similarities, however, do not just stop at the packaging! 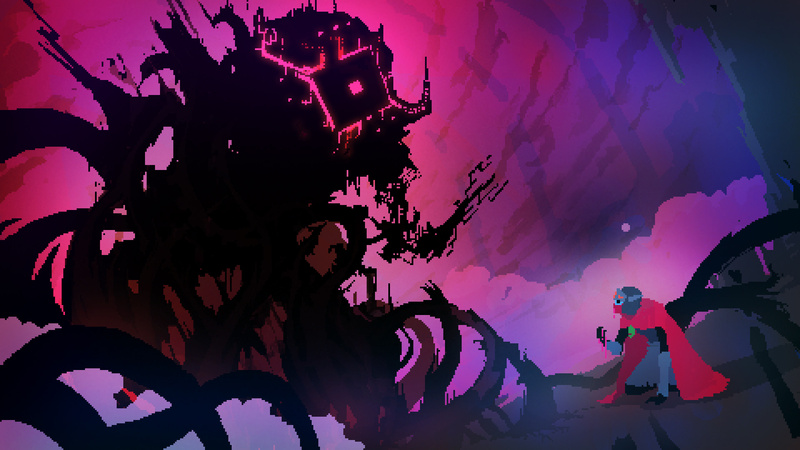 The main goal of Hyper Light Drifter is to defeat “Judgement,” a shadowy Calamity Ganon-esque beast which has been plaguing the Drifter with nightmares. With the encouragement from a spirit Jackal, the Drifter is pushed to overcome his illness and restore the four major modules in each cardinal direction from the main city. Hoping that defeating Judgement may cure his illness, the silent protagonist must battle his way through the four zones to take on the boss at the end to free the zone of evil. Along the way, the Drifter runs into several helpful townsfolk, other Drifters, and is even aided by a small navigational bot that will sometimes give helpful hints. In each of the four zones there are dozens of different pathways to take, all which usually lead to the end goal, but have the potential to take you away from one of the countless secrets tucked away in every nook and cranny. These secrets include gear bits, collecting four of which allow you to upgrade the Drifter, either in health or weapons. There are also several stone monoliths hidden behind difficult puzzles or combat zones that have no gameplay benefits other than delving even deeper into the splendid lore of the Hyper Light Drifter. Armed with an energy blade, the player controls the Drifter through the four zones with an incredibly interactive combat that goes far beyond just hack and slash. The player must be intelligent in how they face each foe, picking the right attacks for the right time to take down even the most intimidating monsters. These skills are earned through the aforementioned upgrade system and are necessary for finding more of the precious gear bits and unlocking more secret areas. The game also progresses much like any classic Zelda game. The player starts off completely powerless and, as they progress, they slowly build their skill. Each zone has its own unique enemies that, though different in difficulty, can be defeated even at the beginning of the game if the player has the knowhow. Some zones are inherently harder than others, but the player has the option of starting in either North, East or West, reserving the most dangerous area, South, for after the other zones’ modules have been activated. In this way the difficulty is paced, much like the original Zelda title for the NES. Every time I play through Hyper Light Drifter, either alone or with a friend in its awesome co-op mode, I cannot help but enjoy every moment of it. The lack of dialogue puts a huge focus on telling the story through music and visuals, something the game does more phenomenally than any I can think of in the pixel art genre. I would highly suggest anyone who has not yet played Hyper Light Drifter and is a Zelda fan definitely check this masterpiece out! And those of you who have already played it, go and do the same! It is a glorious expression of story, art, and passion, all wrapped in a beautiful package waiting for any Zelda fan to explore. Matt Pederberg is an Original Content Editor for Zelda Dungeon. He lives in the flat lands of Saskatchewan. Follow him on Twitter.